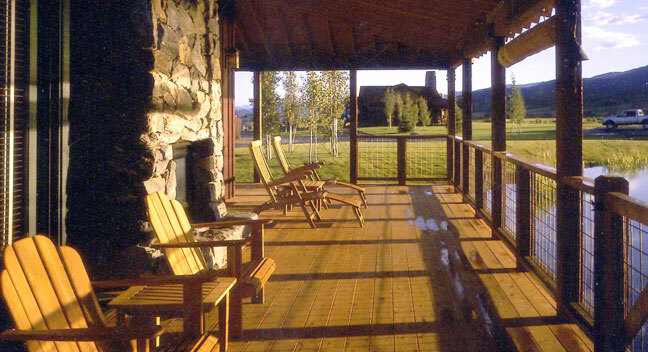 In this ranch preservation project, the cabin porches are 10 feet wide, perfect for watching sunsets. 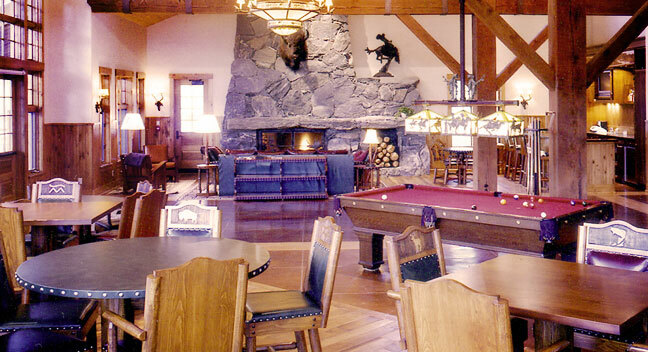 The communal lodge, with its antique pool table and custom art glass fixture, is Molesworth-inspired. 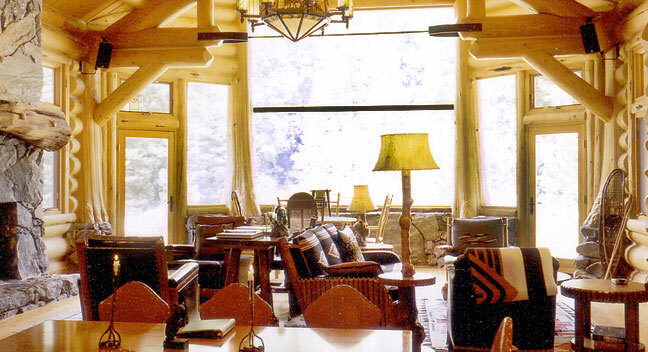 Oversize windows (10-feet square) frame killer views for guests in this Hideout Cabin. 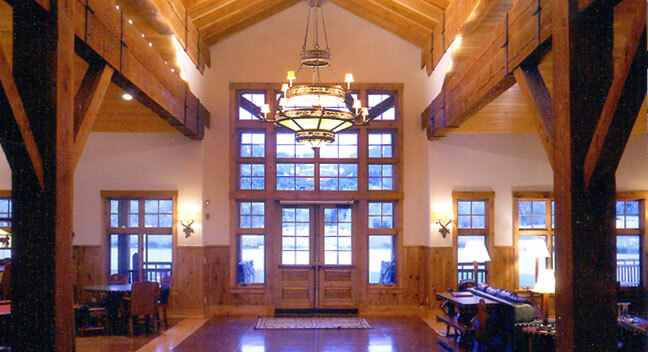 Reminiscent of a National Park hotel, the lodge's entry is majestically natural. 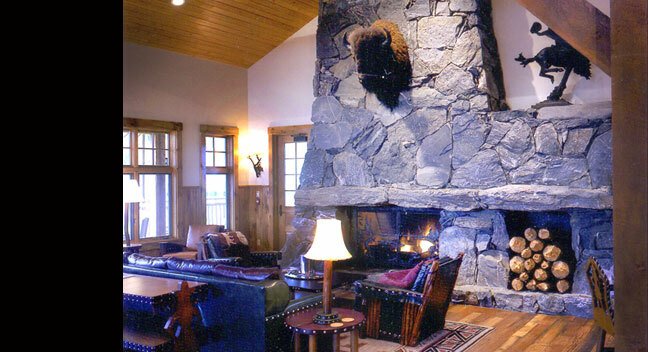 A local Steamboat Springs' artist created the fireplace from rocks on site. 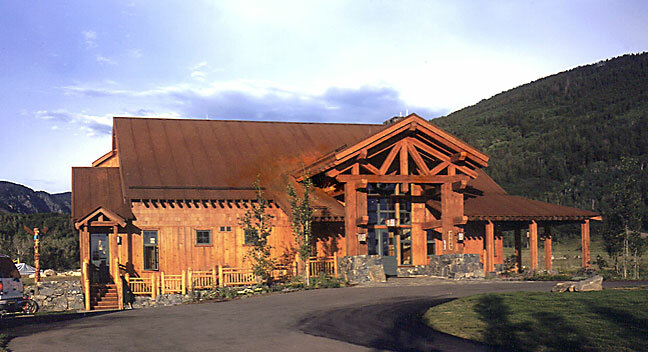 The exterior of the lodge, cedar with a corten steel roof, fits perfectly in this location. 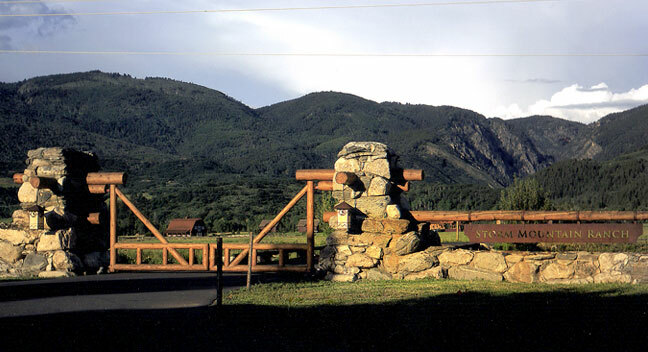 The Storm Ranch Mountain entry gates speak to the National Parks vernacular. 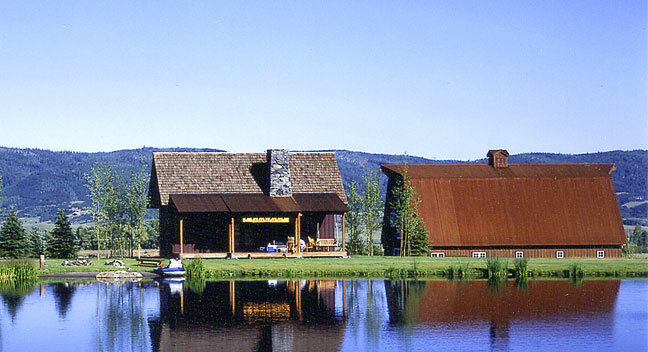 A fisherman's dream cabin sidles up to Awapa Lake.